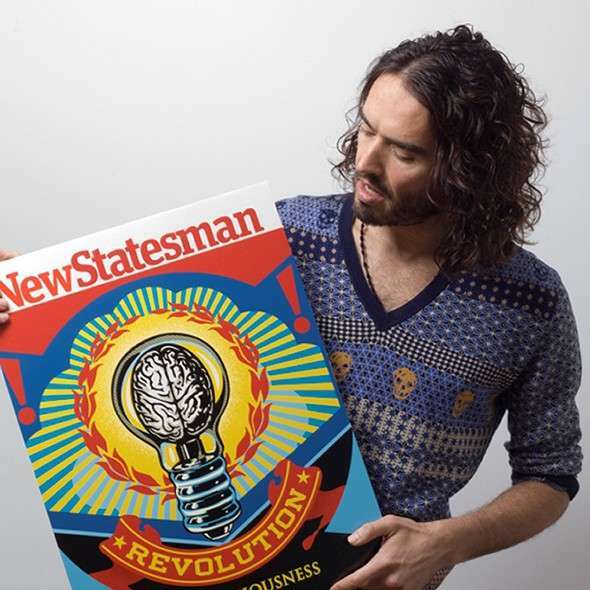 What interests me most about Russell Brand’s thoughts around revolution, and which is encapsulated in the following words, ‘like every aspect of this project, we’ll work that out together’ (again, p.31), is the ‘make it up as you go along’ attitude he adopts. Using, here, an American political term, Russell Brand may be seen, by some, as nothing more than a ‘flip-flopper,’ a term, I believe, once ascribed to John Kerry during Bush Jr.’s re-election campaign (2000?). But, isn’t such flip-floppiness preferable to the kind of rigid viewpoint that present day politicians adopt, especially when such fixity leads them to making awful decisions that lead humanity in all kinds of decidedly inhumane directions? I mean, think of it, could the following sentiment have panned out a little closer to its original intent if the followers of manifest destiny-type thinking had just changed their minds and/or course of action along the way? This entry was posted on Saturday, December 27th, 2014 at 10:24 pm	and tagged with manifest destiny, revolution, Russell Brand and posted in Pondering. You can follow any responses to this entry through the RSS 2.0 feed.